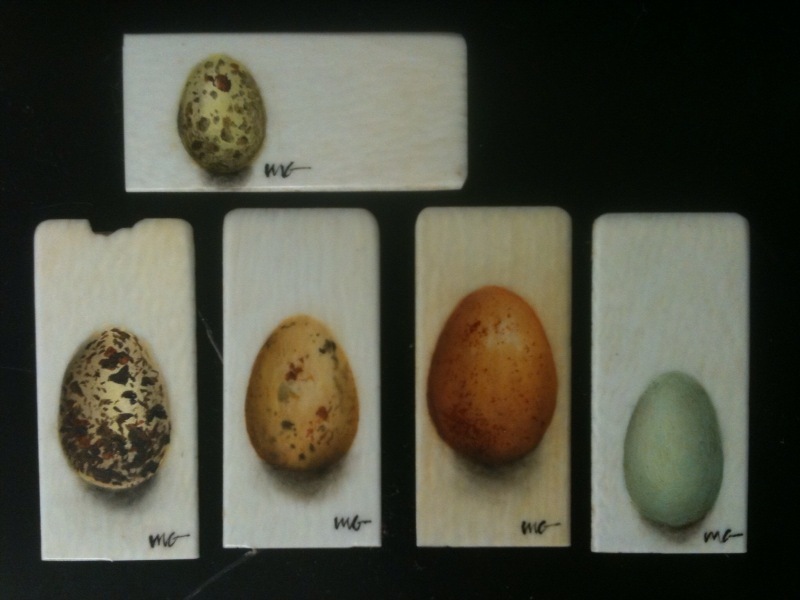 I painted these eggs on old ivory piano keys. Once again, combining my love of music and nature. I’ve got 13 framed and ready to photograph. I’ll post pictures of them as soon as I take them.